Guitar Hero: Van Halen is the third and final band-specific rhythm video game in the Guitar Hero series. 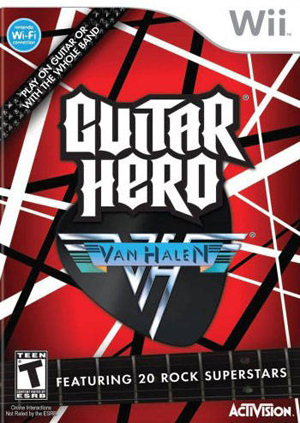 As with the previous games Guitar Hero: Aerosmith and Guitar Hero: Metallica, the game features 25 songs from Van Halen along with 19 additional songs from selected artists that have been inspired by the group. The game has received mostly negative reviews from critics, most of which consider the game's quality to be greatly inferior to its predecessor, Guitar Hero: Metallica and other games of the series. The reviewers criticized the lack of former Van Halen members, Sammy Hagar, Michael Anthony and Gary Cherone, the limited tracks selected from Van Halen's discography, the selection of other tracks included in the game, and the general lack of features introduced in the previous band-centric games and Guitar Hero 5. The graph below charts the compatibility with Guitar Hero: Van Halen since Dolphin's 2.0 release, listing revisions only where a compatibility change occurred.